Every business is different – size, sector, people, ethos, goals and many more. Starting a business can be a challenge but, once up and running, keeping your business going and growing is a constant juggle and there are few companies that can really grow without some form of funding. If you need a better cash position then you firstly need to look at whether you need to improve your current credit control function/people/procedures or do you wish to use your sales ledger as a tool for generating cash earlier? How do you choose the right product for you? Other than loans and overdrafts, factoring and invoice discounting are methods of getting up front finance on your goods delivered or services provided through a third party supplier (i.e. a bank or other financial institution). Once you have been audited and the agreement is set up, typically within 24 hours you can receive an advance of cash of up to 80 to 85% against approved submitted invoices subject to the agreed credit limit on your account. Once your customer has fully settled the invoice, the remaining percentage (20 to 15%) less interest and fees payable is then available for you to draw against. Sounds great? It is – until your customer pays late or not at all for any reason including disputes or queries. 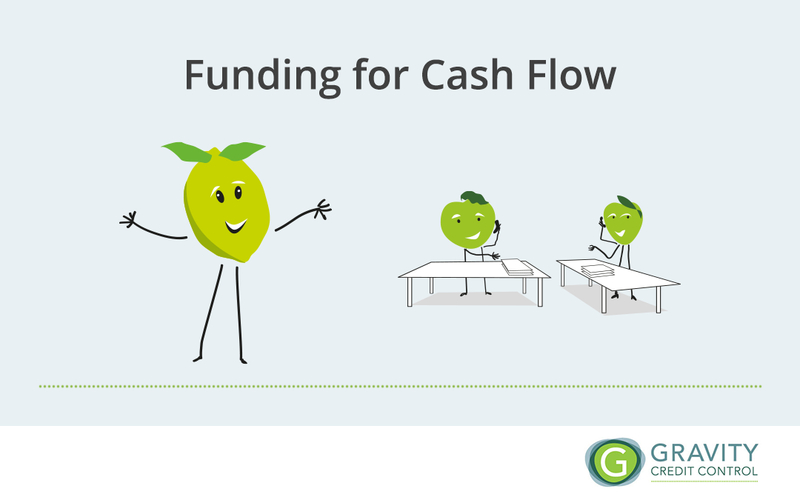 If your customers do not pay within the agreed timescales of your funding company then these debts will be excluded thus restricting your available funds to draw against. The Factoring company assumes responsibility for your sales ledger maintenance and all credit control collections from the issuing of statements and letters, telephone calls and commencement of legal procedures. In this instance your customers will be aware that you have outsourced all of your sales ledger as your customers pay your funding company directly and you will be required to put their bank details on your invoices. The alternative to this is to ask for a CHOCS (Client handles own Collections) facility whereby you still remain in charge of the credit control function. Customer payments, however, still need to go to your funding company not to your own bank. Should your customer not pay you any invoices, you will have to repay the advance on the invoices back to the funding company. Invoice Discounting is just like factoring but differs by allowing your business to retain responsibility for your credit checking, sales ledger and credit control functions. You can also have the option here as to which invoices you wish to take an advance on rather than uploading all of your invoices as you would do with factoring, all dependent on the contract you agreed with the funding company. Your customers do not need be aware that you are using the services of a third party supplier with invoice discounting, however, all payments received from your customer are still paid directly into the funding company’s bank account. It is essential with invoice discounting that you do have an excellent and well-established credit checking, sales ledger and credit control procedures and processes. Ensure you read all terms and conditions of any factoring or invoice discounting agreement you are considering. It is always advisable to take advice from a professional accountant before signing any documentation. The first thing to look at before any type of funding is considered is your sales ledger aged debtor position. If your business has a healthy order book but is suffering from late payments you should be looking at an experienced credit control function in the very first instance. Getting your sales ledger in the best possible shape every month is the best money you can spend as it reduces costs, overheads and risk in all areas of your business plus puts cash in the bank that you can use. Outsourcing your credit control to an experienced credit control company who chases confidentially (i.e uses your company name when calling and answering the phone/emails) is an excellent way of getting the expertise you need for a fixed monthly fee with no long term contracts, plus your own cash still goes directly into your own bank. Your customers are also happy as they have no demands on them other than to pay your invoices to the payment terms you agreed. Many businesses, except those with big project outlay (e.g construction) or large growth expectations, could continue to trade quite comfortably without financing and its associated costs if invoices are chased diligently and paid on time. If you have good credit control you will minimise your funding needs and reduce costs to your business. Factoring and Invoice Discounting have an important place and lots of businesses would not survive without them, just pick the right option for your company.